 Prepare rate Comparison statements for various items.  Follow up with vendors for timely supplies. Candidate should have good communication skills,should be able to handle all the purchase activities .Working knowledge in ERP environment desirable. 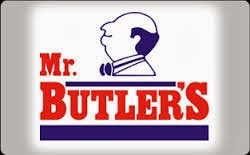 Mr. Butler's is a leading brand in the world of Home Appliances and Food & Beverages, incorporated in 1982.